David Kelly, 21, received over 100 stitches to the top of his head, and sustained two fractured neck vertebrae, a broken wrist and broken elbow. A DEVASTATED FAMILY of a young man seriously injured in a suspected hit-and-run have appealed to the driver of the vehicle involved to come forward. David Kelly, 21, received over 100 stitches to the top of his head, and sustained two fractured neck vertebrae, a broken wrist and broken elbow, his uncle Conn Kelly said. His family fear he may have suffered brain damage, but are praying he will make a full recovery. The young garden centre worker and part-time barman was found “lying in a pool of blood in the middle of the road” about a mile from his home at Carrigeen, situated near Croom, Co Limerick, at around 2.30am on Monday. “He’s after receiving over a hundred stitches to the top of his head,” he added. David Kelly was found by his aunt, Joanne Kelly, who was traveling home from a night out with friends. She had been accompanied by two friends, one of whom is a trained nurse and gave Kelly life-saving roadside medical attention. “It was frightening to see, it was a horrific scene,” another uncle, Brian Kelly, said. David Kelly was seriously injured while walking home alone after a night out with friends to celebrate having recently passed his driving test. Conn Kelly said: “His head is our big worry. He is sedated now of course, but he’s badly injured; He was in a lot of pain. “He lost a substantial amount of blood. We’re hoping he’ll make a full recovery, but we don’t know. We’re hoping there is no brain damage. “It was a shock seeing him in such a state, on a wet country road … to be thrown down like that. Whoever did this, just left him there. You wouldn’t do it to a dog. Their conscience will have to get at them. I’d appeal to their conscience … come out and man up. “They should have made a 999 call. Conn Kelly also appealed for mechanics working in garages or repair shops, who may have information about the vehicle involved, to “make an anonymous call to the gardaí if needs be”. He said the sight of his nephew lying seriously injured on the road will never leave him. 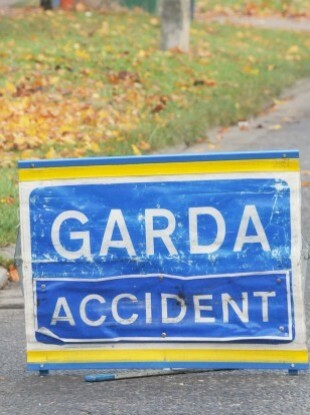 Gardaí at Newcastle West have appealed for anyone with information to come forward and help their investigation. David Kelly’s “shocked” parents, along with his 70-year old grandmother Chrissie, are maintaining a vigil at his hospital bedside. Email “'You wouldn't do it to a dog': Witness appeal after man is seriously injured in suspected hit-and-run”. Feedback on “'You wouldn't do it to a dog': Witness appeal after man is seriously injured in suspected hit-and-run”.